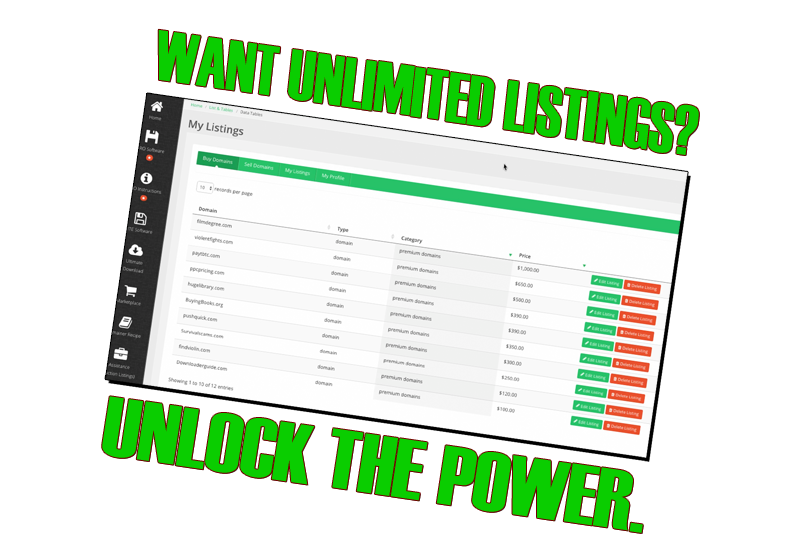 Step 1: Want Unlimited Marketplace Listings? Sell Dozens, even Hundreds of Domains a day..
No thank you. I don't want unlimited marketplace listings.